Restaurant success doesn’t happen in a vacuum. 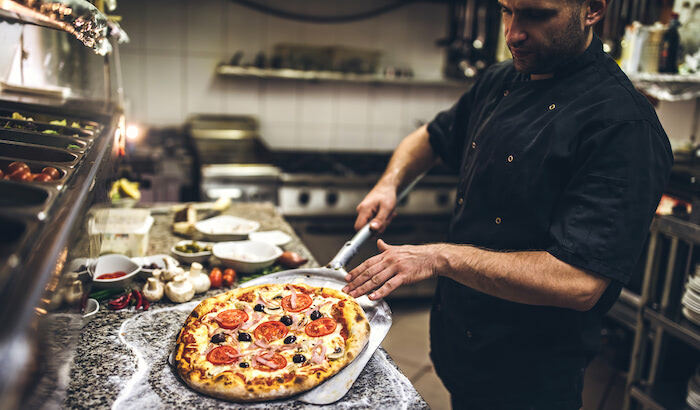 It undoubtedly takes commitment by owners/operators, management and the pizza team, but have you considered your customers’ role? Customer loyalty is both an overall goal and a ready reflection of how you’re connecting with your patrons. Loyalty programs are great tools for acknowledging the ongoing patronage of those who are your tried-and-true brand advocates and bringing new customers into the fold. Whether you’re currently one of the roughly 30% of restaurants the National Restaurant Association estimates offers a loyalty program or you’re newly considering implementation, these suggestions will help you foster an attitude of gratitude your customers will notice. 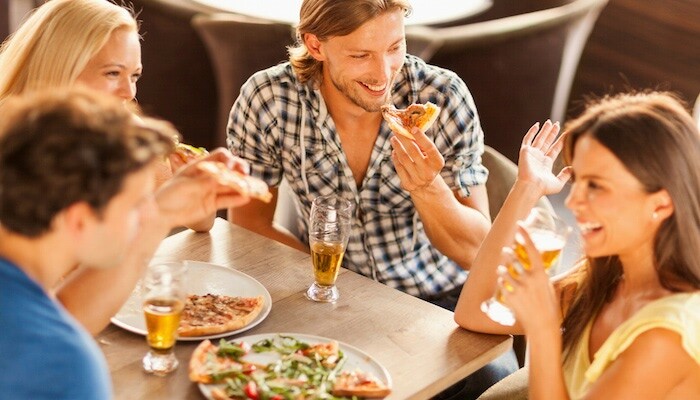 Increase your restaurant’s online presence, drive traffic and build loyalty by leveraging social media to announce “mystery” discounts and prizes. For example, your Twitter followers might get a “secret” heads-up about the half-off pies special you’re running from 3-5 P.M. that day, or your Facebook friends are the first to find out about your periodic free-soda-with-purchase deal. Coupons are proven winners in inducing trial and giving loyal customers another great reason to return. Designate a page on your website for downloadable/printable coupons for discounts that might correspond with a specific season or holiday, certain menu items or maybe in partnership with another area business – say, a free appetizer when a customer presents a ticket stub from the local theatre. Sell T-shirts that promote your shop and the greater good. A portion of each purchase will be donated to the customers’ choice of charity, and they get a “swag perk” of a 10% check total discount or a free dessert when they wear the shirt in your restaurant over the next year. This classic points-based loyalty program is tiered according to pie type – traditional pies might be worth 5 points, specialty pies 10, and your exclusive signature pies are 20. Once a certain points level is attained, the physical or virtual “punch card” can be redeemed for a signature pie of the customer’s choosing. 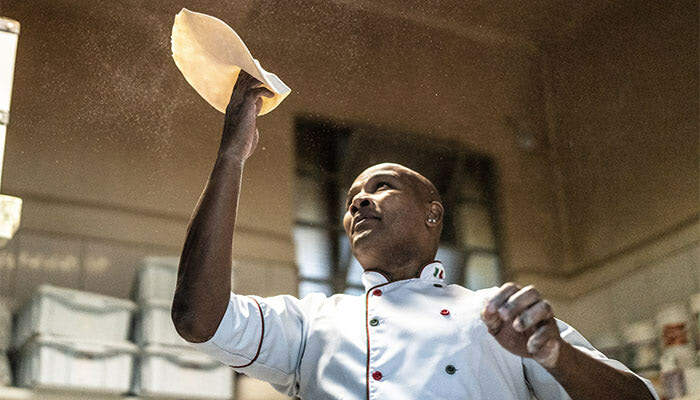 The ultimate in loyalty programs, V.I.Pizza gives customers an opportunity to weigh in on your new pizza products, which might include anything from a brand new item to an improved recipe – like adding garlic butter parmesan flavor to your typical crust recipe. For each check total they have over $25 during a designated two-week time period, customers are entered into a drawing to be part of a new product tasting panel. During this special event, they’re treated to tableside service of new menu offerings. They learn what’s in them, how they’re made and, most importantly, give feedback on which items work – and which don’t. It gives customers a sense of ownership in that their voices are heard, and gives you valuable business- and loyalty-building input straight from the source. Earning customer loyalty starts with keeping your customers satisfied – especially on that odd occasion when things go wrong. Learn how to keep everyone happy with 7 Tips to Handle Unhappy Customers. Click the button below to download your free copy.